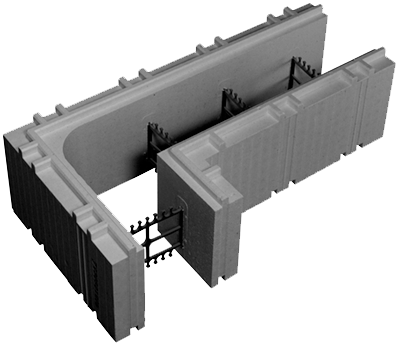 The Advantage ICF 6” 90 degree height adjuster block has all the same great features as the standard 90 degree corner, only in a height adjuster version to allow for varying wall heights that meet your building requirements. Do you want 9 foot high ceilings? No problem, height adjuster allows you to easily build to your preferred ceiling height. Shipping: Cubed in packages of 24.